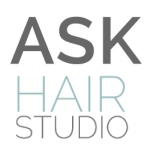 Award winning hair salon: colour and texture, treatments, highlights, styling, extenstions. Ladies, gentlemen and children. Trained professionals that are creative and innovative. Since 2006. Exclusive Redken dealer.